New Year invites us every day to enjoy being beautiful, glamorous and unpretentious, with makeup that highlights our physical features, without requiring time and complicated techniques. This year natural beauty is in the epicentre. 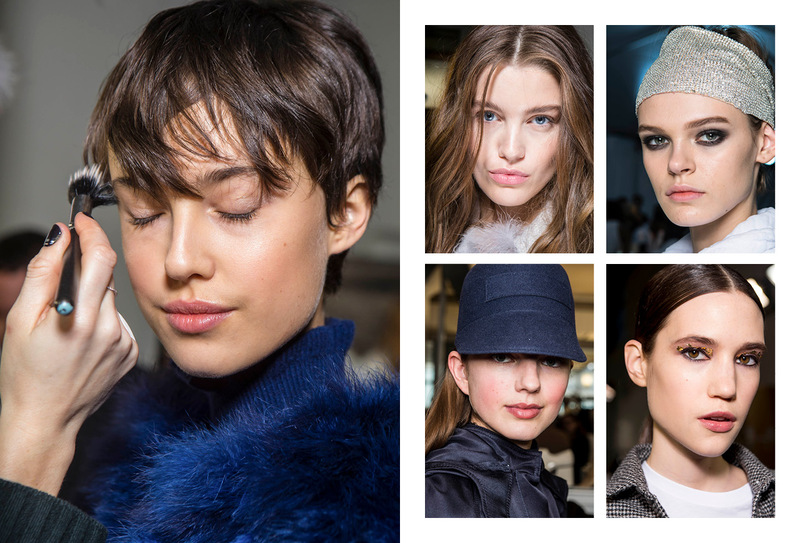 Most fashion houses highlight the natural, shiny skin and recommend the use of appropriate facial cleansers and moisturizers as well as a foundation with a light moisturizing composition that creates a uniform, transparent base. Tip: In a natural effect makeup we avoid any powder product, as it automatically “burdens” the look of the skin. Laura Mercier Tinted Moisturizer SPF 20. 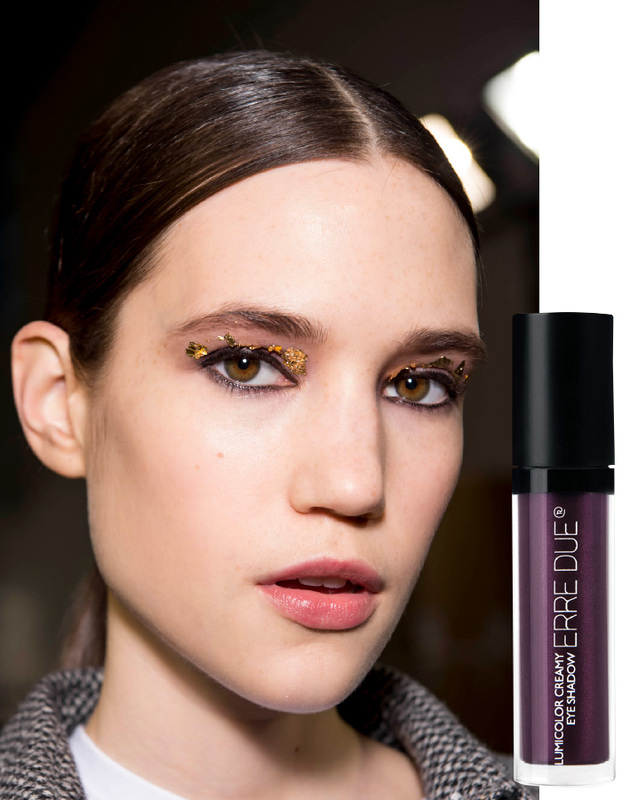 Oscar de la Renta, Marc Jacobs and Etro are just some of the fashion houses that gave dazzling tones to their collections, as, thanks to the glitter and iridescent eye shadows, the makeup of the models became particularly glamorous. Tip: By spraying the brush with a moisturizing mist, the shadows yield even more intense shine. Erre Due Lumi Color Creamy Eye Shadow, Le Cabaret collection. A silver touch of glitter has discreetly enlightened the look of the models of Fendi, Giorgio Armani and Mary Katrantzou. The silver shadow was placed only on the inner corner of the eyes, giving freshness and relaxing effects. Tip: This smart trick makes the distance between the eyes look bigger and can be adopted from morning till night. 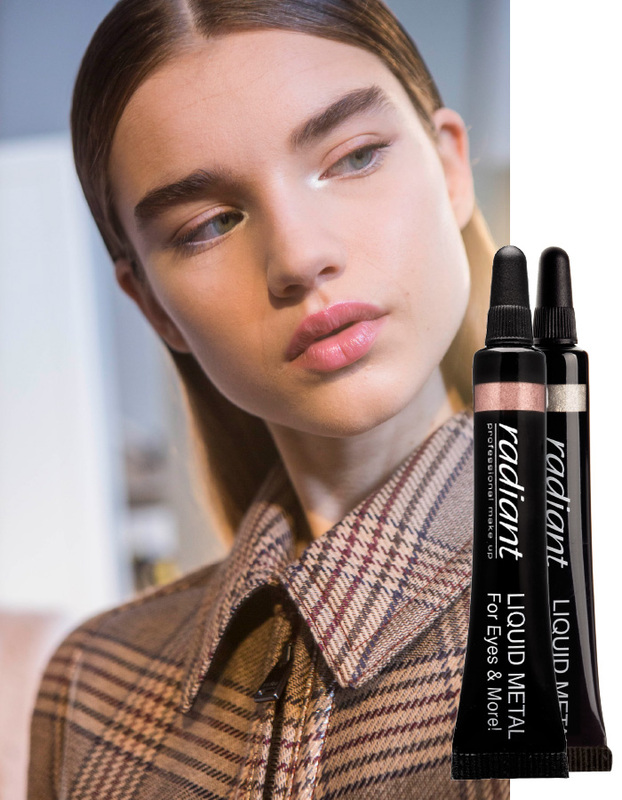 Radiant Liquid Metal for Eyes & More, (shades 08 & 17). 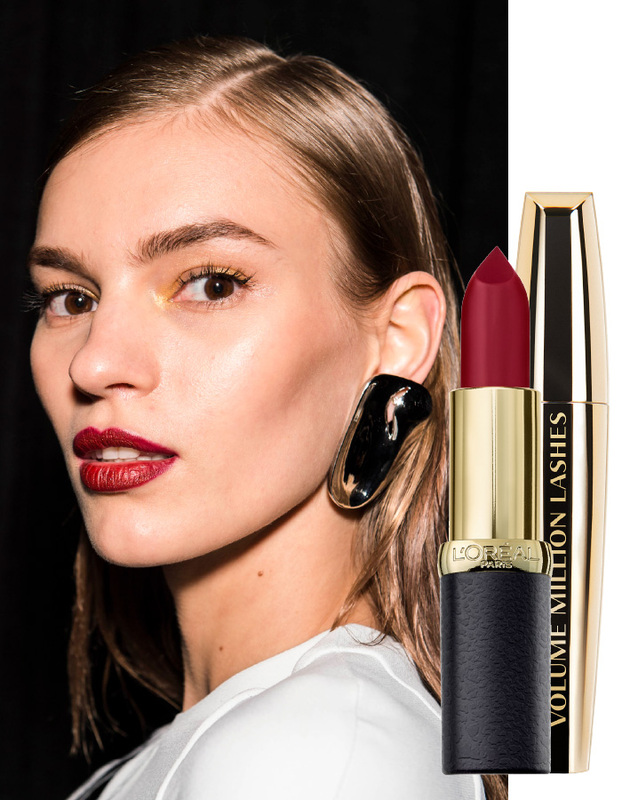 The lips get deep red, burgundy or dark brown-prune and gain the impressions as shown by Cushnie et Ochs, Erdem, Maxwell etc. The eyes remain neutral, almost without makeup and the emphasis is on the lips with matte or extra glossy textures, and an easy, messy way of applying the lipstick is also proposed: it is effortlessly placed with the finger and is not restricted by a lip pencil. Tip: We cover the lips with the little bit of make-up left on our brush, creating a neutral base on which it best produces the lipstick colour while it lasts longer. L’Oréal Paris Volume Million Lashes Mascara. L’Oréal Paris Color Rich Matte, lipstick (shade 430).